So this version has ALOT of new features, as I promised to make this a million times better than the previous version. 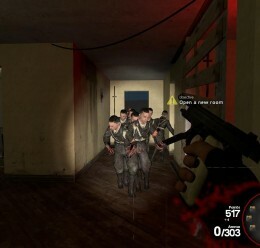 I've not emulated the COD nazi zombies this time.. I've tried instead to make it look like a casual/cliche zombie survival, because I think it makes it alot more unique that way! I believe that this is one of the best Zombie survival gamemodes ever released to the public, and I hope you think so too! I've decided to make one more final version of this.. Not exactly hard-coding but more like fixing a few bugs here and there. 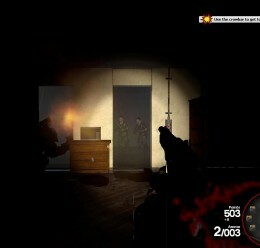 -Upon receiving a nuke/doublepoints power up, zombie heads spawn on the floor. Death Machine power up made things worse. (Death Machine powerup disabled temporarily in source) V3 will have it fixed! -Nothing else that I've noticed. -Start out with a crowbar and beretta. 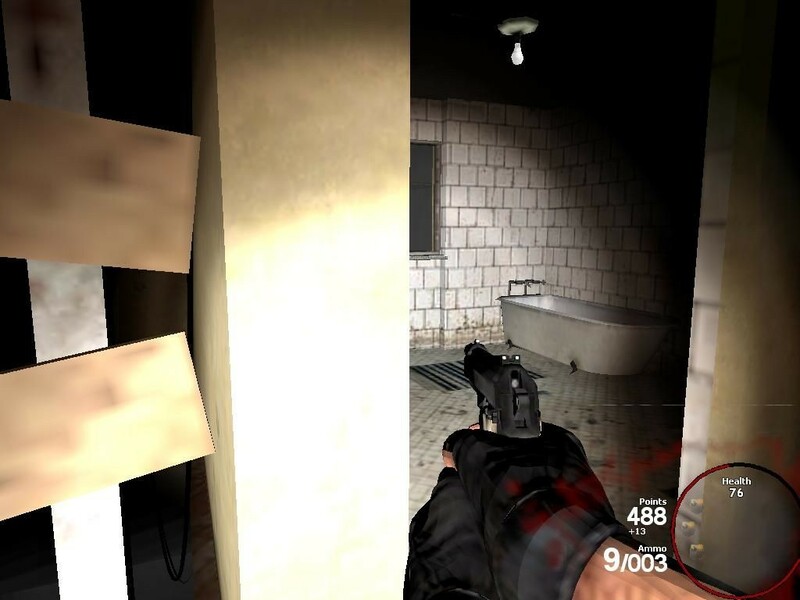 -Power starts off, you can turn it on to get to the box and the weapons room. Weapons are more expensive now, and increased time to reload; makes it a lot more hectic and challenging. 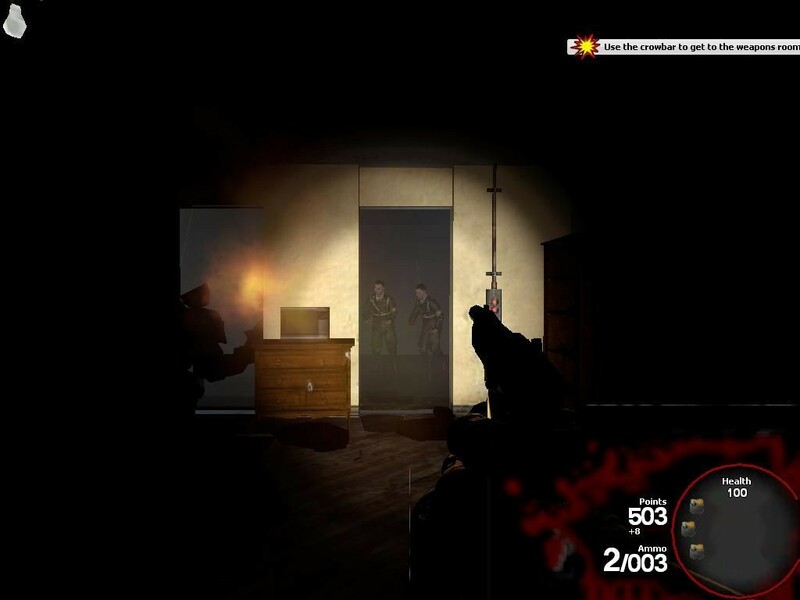 -Enhanced zombie AI; attracted to bullets firing. - Fixed powerup sounds, no more silence when getting a perk! 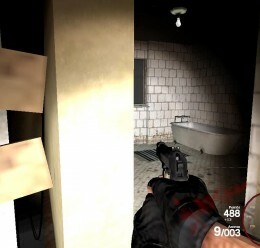 -Barriers have increased durability. 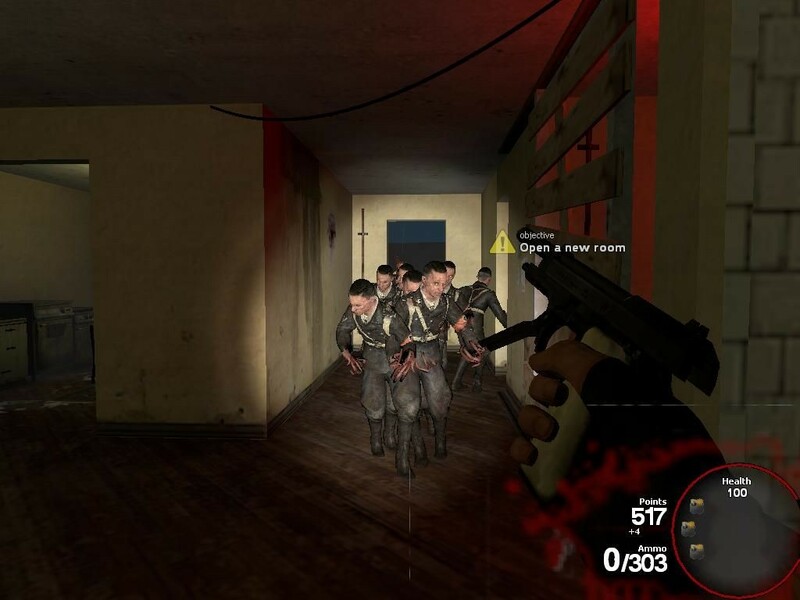 Takes zombies longer to get in. Zombie Survival-- V2! <-- Make this folder!